THE CANDIDATES LISTED below have been selected by the leadership of the local lodges in their areas, along with the International Government Affairs Department, as those who will best support working families. We know that how you vote is a personal decision. And we respect that decision. We also know that working families will make a huge difference in these elections – as we always do. The union’s source of strength in the political arena is an informed union member who registers and votes. Please make your vote count in 2014! Candidates for the House of Representatives are listed by congressional district. 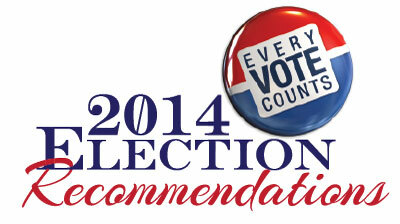 Endorsements are also included for statewide elections. Races where no candidate earned our endorsements have been left off the list. We endorse candidates only after they have undergone close scrutiny. To earn our endorsement, a candidate must show a willingness to work with us — not by their statements, but by their actions. They must vote the way we need them to vote on key issues before Congress, and they must sit down with us to solve problems we are having in their district or state. Please examine this list. If you do not understand why we are supporting a particular candidate, ask your local lodge leaders or the Government Affairs Department for clarification. Paid for by the International Brotherhood of Boilermakers Campaign Assistance Fund, [phone: (202) 756-2868] and is not authorized by any candidate or candidate's committee.